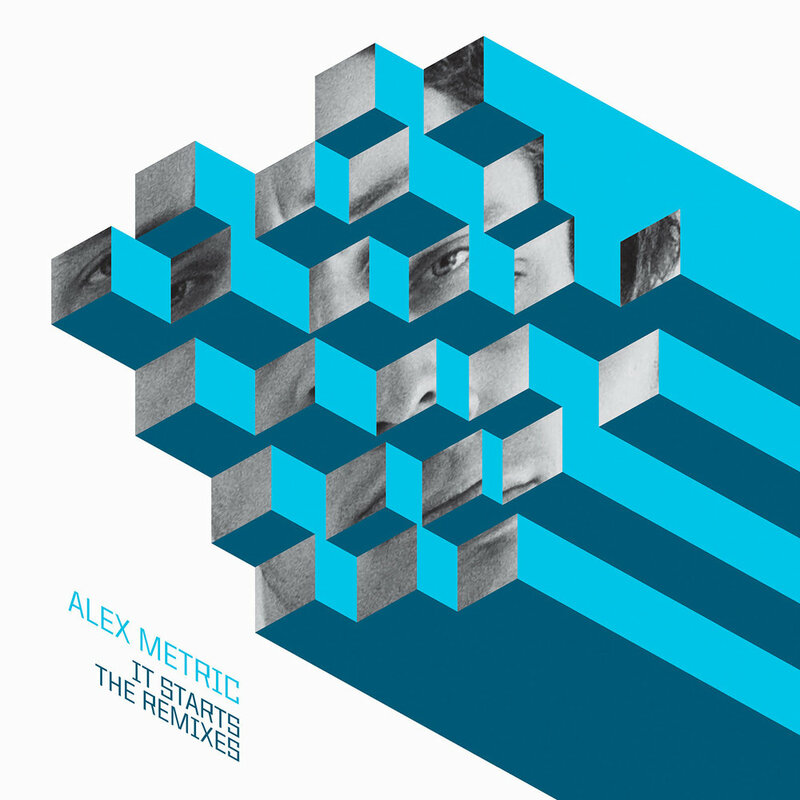 This cover for Alex Metric’s Head Straight EP channels the spirit of 1980s synth-pop into a contemporary op-art alphabet inspired by impossible triangles. The 80s vibe keeps going on the back cover with a neon cassette tape. For the single, It Starts, we “sampled” and arranged a photo of Alex Metric to form this dancy, Qbert-like grid. We later adapted the same artwork for an EP of remixes.